Should be familiar with Microsoft Windows and using Windows-based applications. 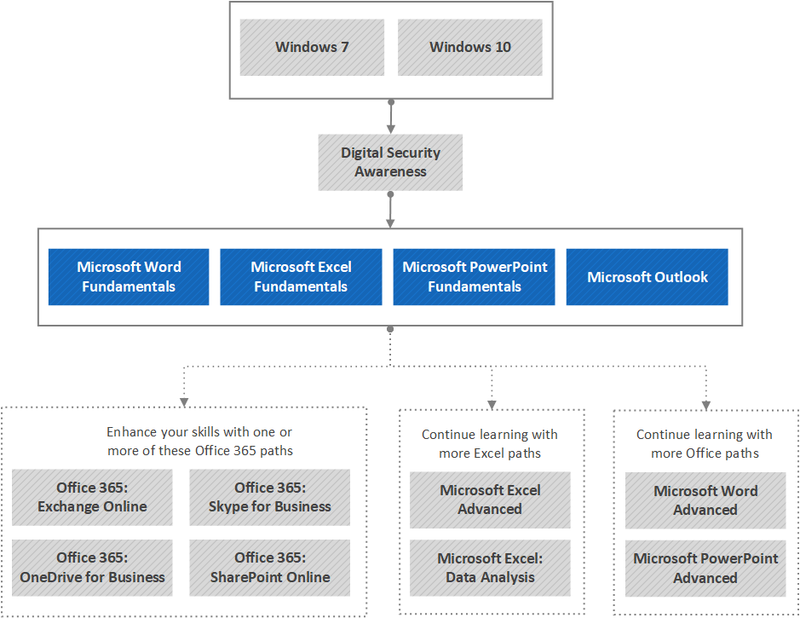 In this path you will be introduced to the Microsoft Office core applications include Microsoft Word, Microsoft Excel, Microsoft Outlook, and Microsoft PowerPoint. You will learn how each of the tools can make business users more productive and easily make documents, spreadsheets, presentations, and emails more professional, more dynamic, and more polished than ever before. Productivity expert LeeAnne McManus will teach you how to navigate the program with ease and create everything from brochures, flyers and newsletters to highly interactive presentations and professional business reports.